Bloomsday is celebrated around the world in places such as New York, Montreal, Melbourne, Paris, Istanbul, the Costa del Sol, Berlin and Pula in Croatia. You can find out if there is a Bloomsday close to you by looking for the hashtags #Bloomsday and #Bloomsday2018 on social media. If you are in Dublin or are travelling to the Fair City for the festival (11.-16. 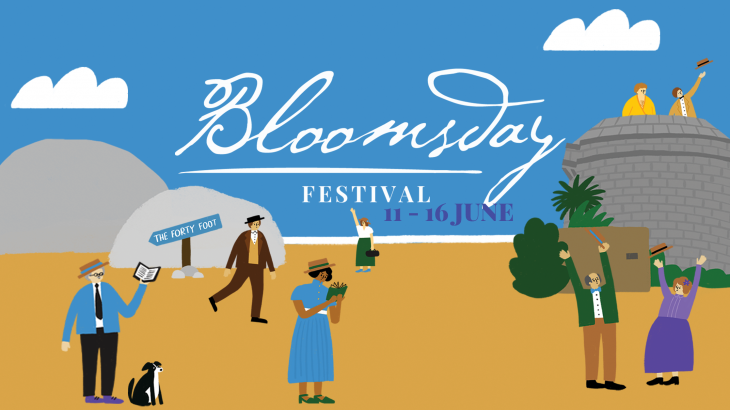 June), you can go to www.bloomsdayfestival.ie to find out what’s going on. We would love to go to a Bloomsday Breakfast at an iconic location like the Bloomsday Breakfasts at EPIC Ireland or Howth Castle. At EPIC Ireland, the Emigration Museum, you get a tour of Joyce’s travels around Europe and his life as an emigrant. We will be enjoying the exhibition day on the 10th June with the launch of the Frank Kiely and Drawing on Joyce exhibitions including works by internationally renowned street artist, Maser. 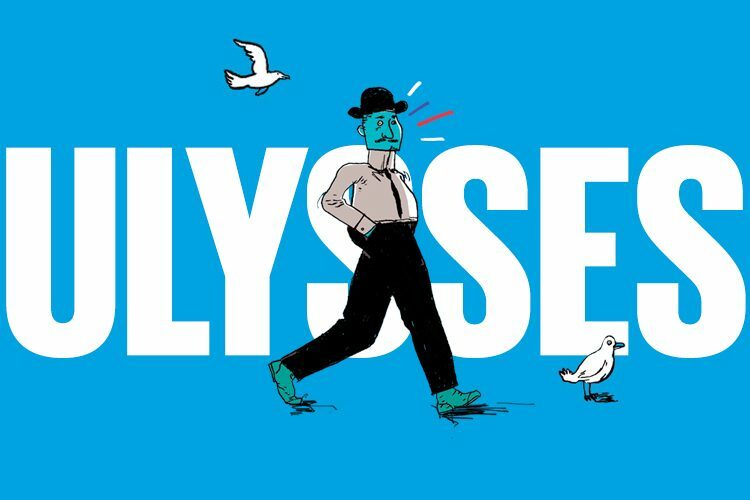 We are also going to try and see Ulysses at the Abbey Theatre in a recent production of the Dermot Bolger adaptation. Use the code SUMMER to get a discount on tickets. Then we’ll try and get to the Why Don’t They Go and Create Something event on Monday, 11th June, with our fellow creative, Sarah Bowie, dancer and choreographer, Aine Stapleton, and musician, Sean MacErlaine, talking about how they were inspired by James Joyce with musical performance by Sean and excerpts from Aine’s dance pieces. As he has done it before, Niall recommends the Joycean tour of the Freemason’s Hall to see this stunning building and as a film buff is interested in Dublin Only at the dlrLexIcon. We both recently saw Walther Ruttman’s film Berlin from 1927 recently, which has inspired this film, and were blown away. Susan Tomaselli from gorse magazine has been a supporter of At it Again! from the very first. She will be part of the Legacy of the Little Magazine panel on June 14 in the beautiful surroundings of Belvedere House where Joyce went to school. 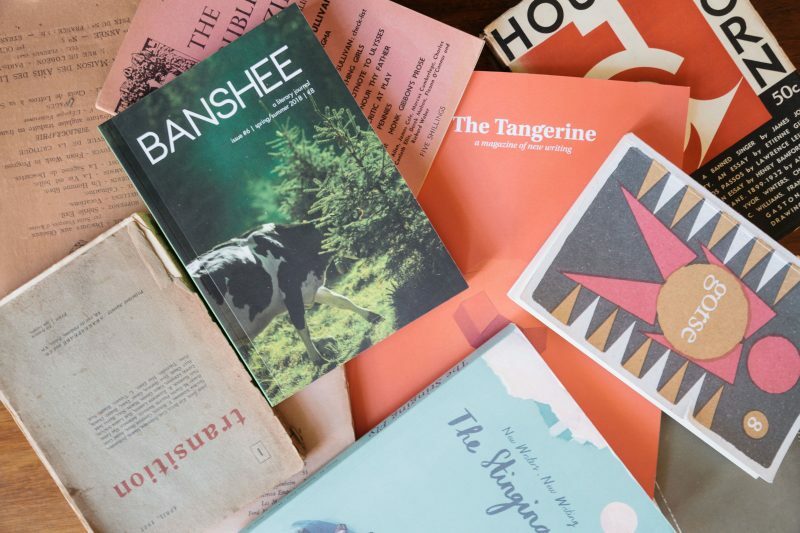 The evening celebrates the centenary of the serialisation of Ulysses in The Little Review with key figures of the Irish literary magazine scene. Our last pick would be one of the whiskey or food events, such as the Joyce of Whiskey or Joyce of Food tours or the evening at Teeling Whiskey Distillery. At the Teeling event you can test your knowledge of James Joyce and Ulysses in a Bloomsday Quiz, get a tour of the place by Jack who also volunteers in Sweny’s Pharmacy and of course taste Teeling whiskey. And Maite really wants to try the Bloomsday Hat, a special treat that Bewley’s Café are going to serve from 15th-17th June. If you want to spend a fun evening with us, bubbly and get a complimentary goodie bag, sign up for the Bloomsday Fashion Workshop! 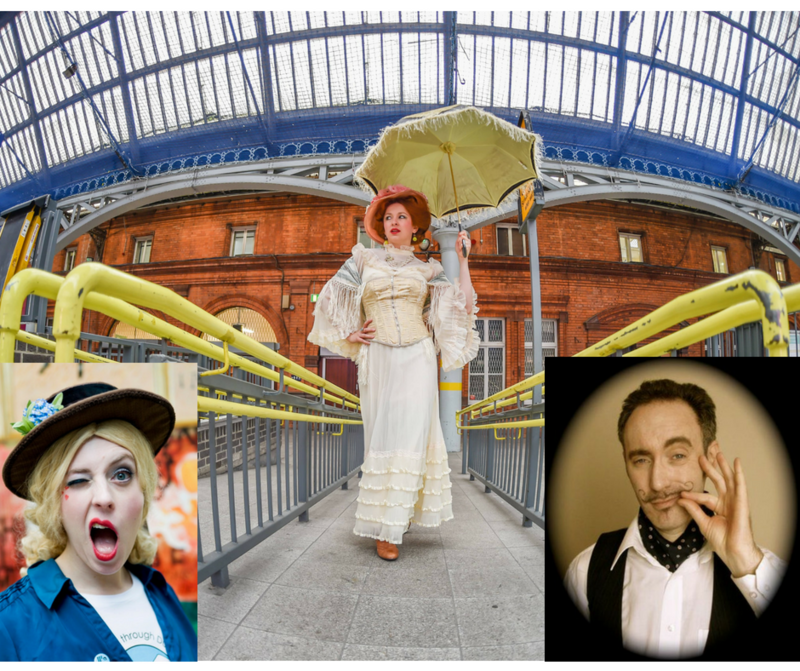 We will regale you with excerpts from Ulysses, titbits about Edwardian fashion, practical advice on what to wear (and where to get it) and how to do your hair (or moustache) and make-up. The evening will be hosted by Dublin Burlesque star Bella AGoGo who will bring in some of her fabulous outfits and accessories. We won’t be appearing on stage this year, but if midsummer madness and cabaret are more your style, take part in the Midnight Mass Poetry Brothel at The Church or Bella Cohen’s Bloomdsay Blowout with stars of the Burlesque scene. Wishing you all a fabulous Bloomsday 2018! Bloomsday, Events, James Joyce, Ulysses Bloomsday, Bloomsday Dublin, Bloomsday2018, Dublin trip, Irish Festival, James Joyce, Literary Festival, Summer Festival, Ulysses. permalink.